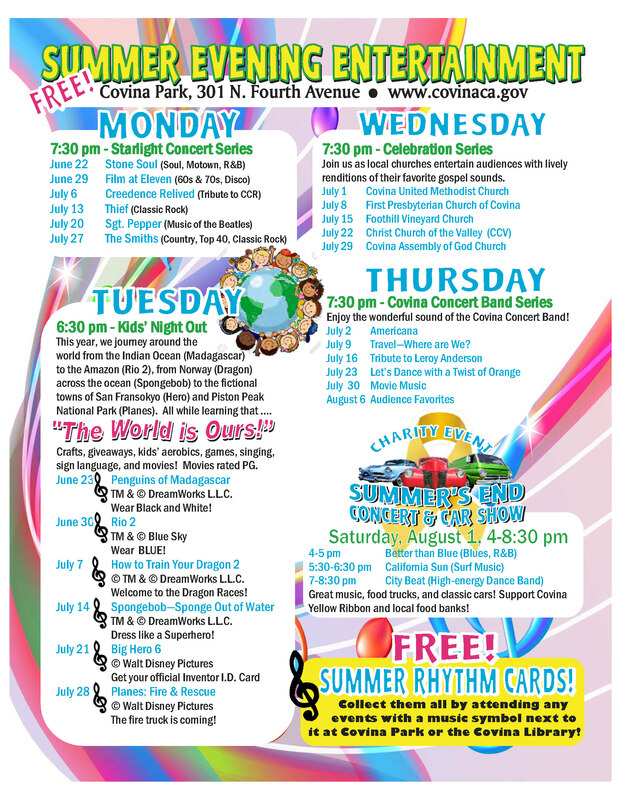 2015 Summer Evening Entertainment at Covina Park starts today! Summers in Covina are always jam packed with things to do. Today is the start of the Evening Entertainment series at Covina Park with Monday Starlight Concerts kicking it all off. Here is this year’s schedule, as you can see there is something for everyone. Monday nigh concerts, Tuesday Kid’s Night Out, Wednesdays are Celebration Series to the tune of Gospel Music, and Thursdays feature the Covina Concert Band! Best of all, all of these things are FREE! 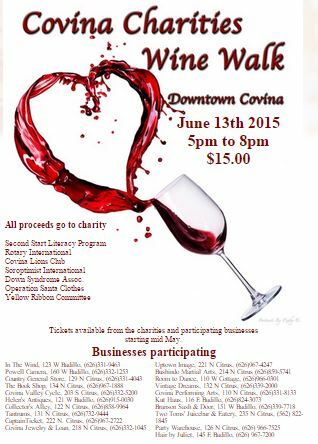 Bring the family and enjoy your summer evening at Covina Park this summer!